It's kind of late for me to be at the office, and I'm already feeling a bit tired, though that might also be because I'm on the Second Day of the period and all that chunky blood loss does make me a bit zombie-ish. It's still quite a nice day, though, except that I was a tad late today and didn't get a parking spot at the closest parking lot at the office, but had to go to the one further away, AND on the way I realized I had plate restriction (I blame that bout of forgetfulness on the blood loss due to the period, because, really, the period should be good for something, other than tell you that you are not pregnant), thus I decided to wait until 7 p.m. before leaving. I'm not chancing a ticket. The extra time I used wisely by actually studying for one of my University subjects: Service Costs. Nice, huh? And now, in the last few minutes - as my mind desperately races thinking of the lunches I have to make for tomorrow and Friday (I'll do zuccini, it's the easiest, and I love zuccini) - and the German homework I have for tomorrow - I decided to let you know how the Bullet Journal Project is going. 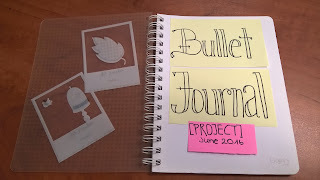 If you recall, in my last post I talked about the Bullet Journal, how it wasn't for me and what I have found as criticism on the Internet while I was researching the matter. 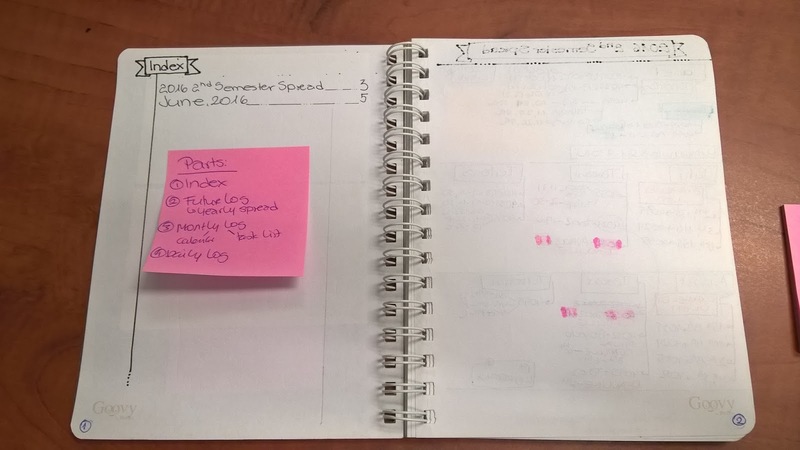 Then, by the end of the post, I was actually considering the possibility of keeping an experimental bullet journal, just to see if it really was for me or not. And so the Experiment was born. 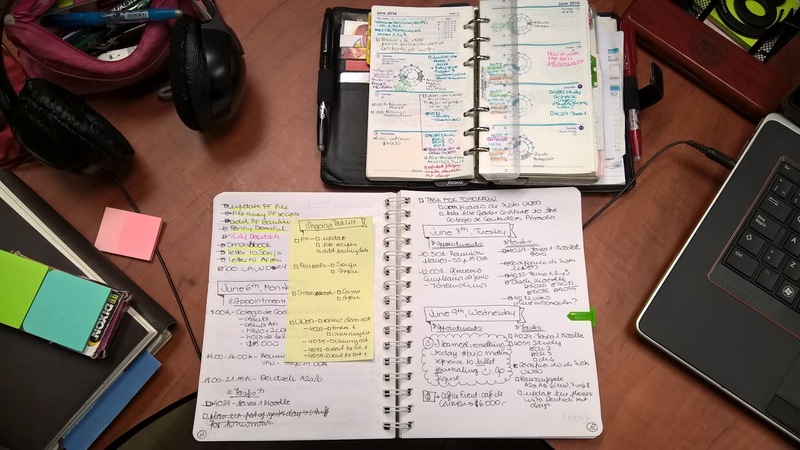 I started by fishing out an old blank notebook a friend had given me a long while ago, and which I actually couldn't really put to proper use. This notebook is a spiral bond, blank page notebook with plastic covers. I had started using it in the past as a Book of Shadows until I moved into a larger book - also blank paged - with hard covers. so what better than this, right? For the project I checked once again Ryder's site and introductory video making all the necessary notes for it, and then started making an Index page, a Yearly Spread - which in my case was a seven-month spread, and the first Monthly Spread, which was for June. First off, the paper turned out not to be so good for this sort of experiment, as it bleeds through quite a lot. I tried first a fountain pen, but it went right through it. So the pilot pens. And the highlighters. It doesn't really bother me so much, but I put a limit at the point where the bleeding ink renders unreadable the other page. Up blank, the pages look nice, but when on use, they look a bit... cramped. This yearly spread can't take more... sadly. 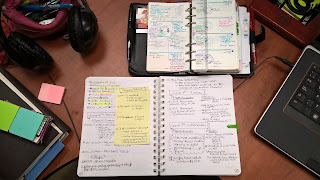 At one point I started using post-its to supply for the lack of space, but really, it didn't really do the job. 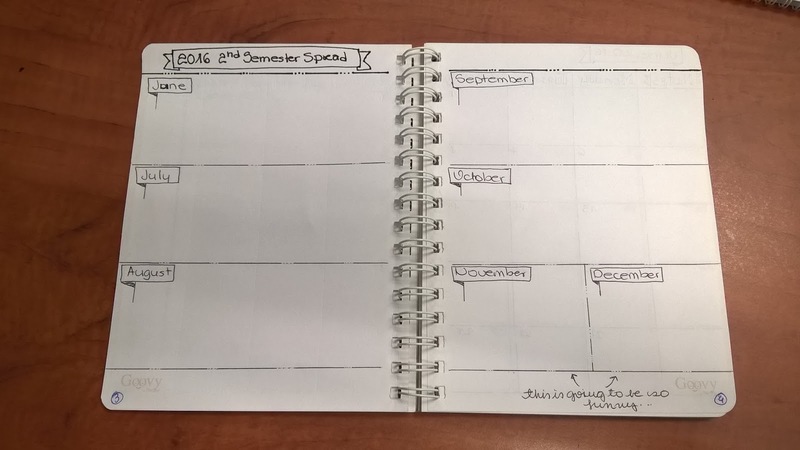 Of course, this could simply mean that I would need to make my yearly spread in more pages, like a spread per quarter or per each four months... or try and make my handwriting smaller, but as it is, with just my University MAIN appointments it got all filled out. No space for my German classes, or my other notations. 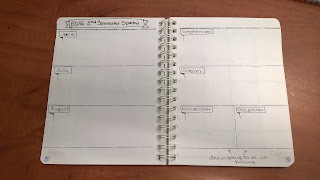 I did created a spread for tracking birthdays and important gifting/card-sending holidays, which is currently only Halloween and Christmas, and indexed it, but then I thought of all the tracking lists and systems I already cram in my filofax, and the idea of transfering them by hand into my project was beyond daunting. 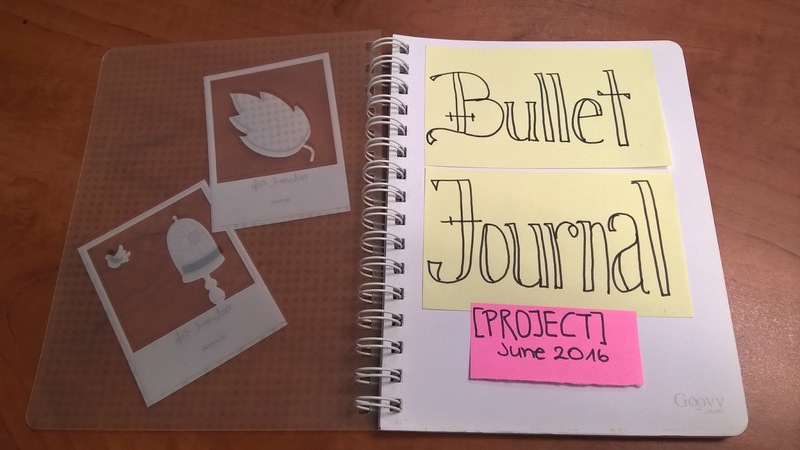 Yes, I could print out a template and glue it into the bullet journal if I decide to keep the system, but not now. 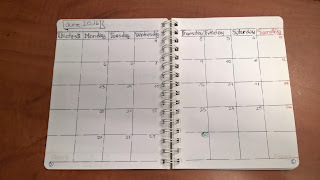 For the journaling part itself, the idea of checking every night your day and plan the next day is lovely and nearly romantic, but very inconvenient when you get home late or tired. I really don't want to journal and write down stuff when all I want to do is curl up in bed and read a little of whatever I'm reading (currently a book on the Salem witch trials, because, really, I'm still obssessed with the topic and the city). I also developped a system for my tasks, where I use a post-it with a sort of on-going task list with things I need to get done but still don't need to be done a given day. 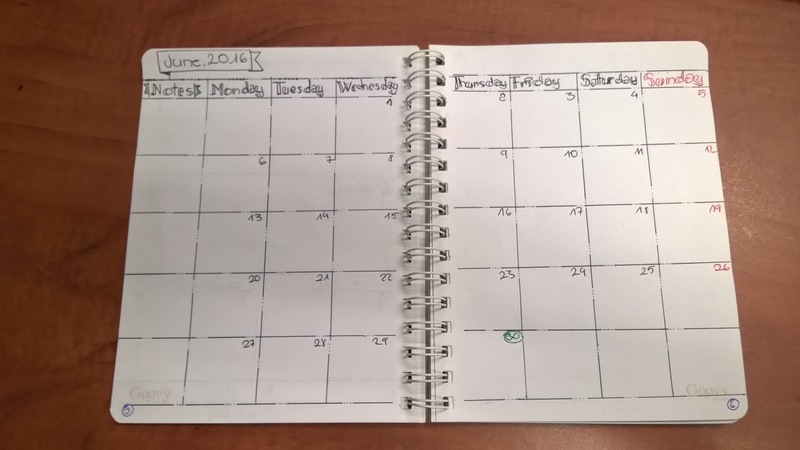 This is easier for me than to copy every day the tasks I didn't finish, even though I just wrote them down to keep them in mind, not to have them finished that day. 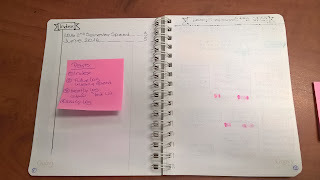 filofax and bullet journal side by side. 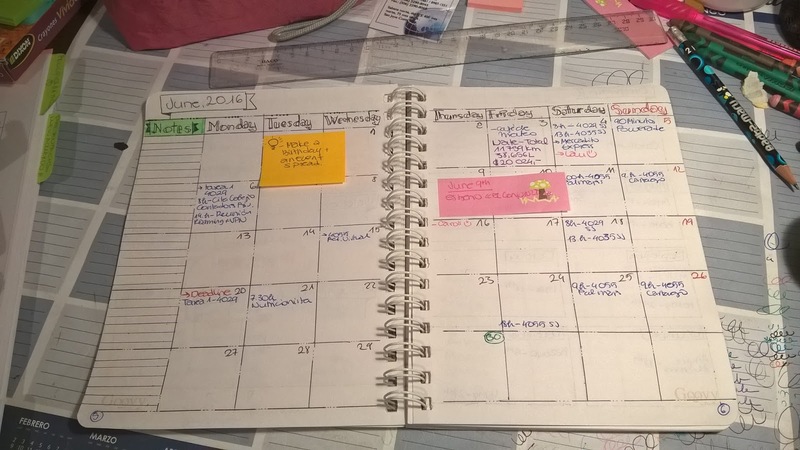 So far, though I do enjoy the novelty and the space and the flexibility of the bullet journal, the system that still makes it the best for me is the filofax. 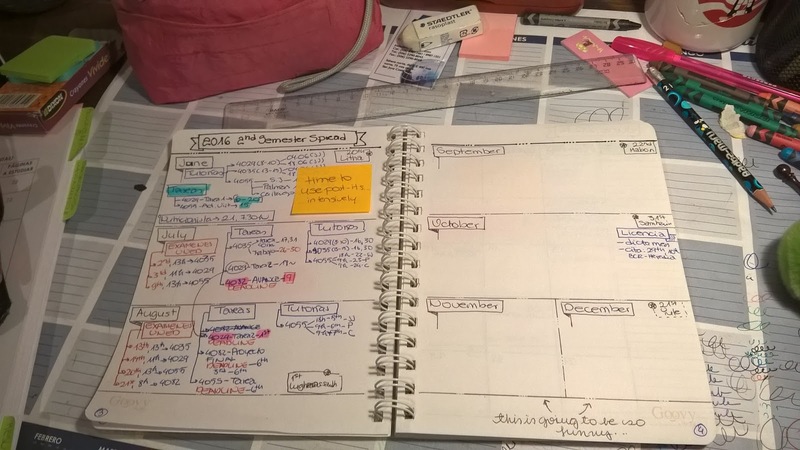 Yes, I love the space of the bullet journal, but I love the structure of the filofax, and so far I feel like that's a lifesaver for me. But I'll continue, at least until I fill this notebook, or get to the end of the year - whatever happens first. And you, Dear Anonymous Reader, will be able to keep track of the developing of this project, if you desire so, by the post I'll keep making on the subject.